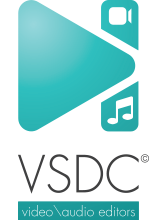 VSDC Pro Video Editor 5.7.7 was available as a giveaway on June 9, 2017! Thank you everyone for participating in VSDC giveaway! Those, who haven't had a chance to get it, can make use of our special 50% discount coupon, just insert 'Giveawayoftheday_50' at the checkout. Hurry up, this offer is limited. A light professional non-linear video editing suite for creating a movie of any complexity – from a family card, a drone or action camera clip in the UHD quality to a business presentation with a wide array of charts and diagrams. Import from any devices and cams, including GoPro and drones. All formats supported. 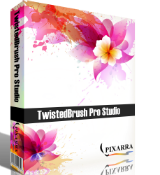 Essential toolset for professional video editing: blending modes, Mask tool, advanced multiple-color Chroma Key. 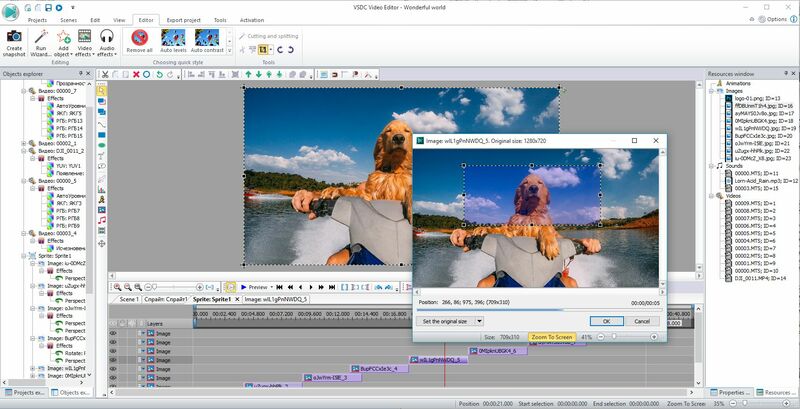 How would you improve VSDC Pro Video Editor 5.7.7? on give away of the day, going to link provided just sends a person in circles. How do I register? I've sent 2 requests to support for the activation code as I did not receive the key on the original download request. Never received activation code. Sent two messages to support@videosoftdev.com. It's been about 20 hours and no key was sent to me. I submitted 3 times and send one email to support. Would like a key for pro version. Downloaded and installed fine. Licence code email received promptly. However, unless I'm overlooking something, it seems that the software does NOT allow for audio to be recorded when doing a screen capture. Anyone else experiencing this? David, hello! Thank you for the feedback. You need to activate "Stereo mix" in audio settings of your PC and then select it in "Audio capture device"
David, hello! Thank you for the feedback. You need to activate "Stereo mix" in audio settings of your PC and then select it in "Audio capture device"
VSDC, Thanks for your speedy reply. It could be my own ''stupidity'' but I've done a search and still can't find any reference to <"Stereo mix" in audio settings> on my pc. (Win7 64) If you could perhaps point me in the right direction regarding where to find this setting option, I would be grateful. i haven't received my key also. sent email for help also. 2nd time happened with GOTD since last Dec.
i haven't received my key also. sent email for help also. no choice, just wait. really no luck. 2nd time happened with GOTD since last Dec. win10x 64 user. donald, hello. We've replied your email. as the time is tide, i go back to the site again & roll back the page. oh, i found the problem, is my fault. rectify it & proceed, got the code & activated it. checked everything is ok now. the s/w looks impressive, yet to try out. thanks GOTD & VSDC, esp. VSDC are really responsive. as the time is tide, i go back to the site again & roll back the page. oh, i found the problem, is my fault. rectify it & proceed, got the code & activated it. checked everything is ok now. sorry for that. the s/w looks impressive, yet to try out. thanks GOTD & VSDC, esp. VSDC are really responsive. They never sent me an activation code, even when I email them asking for it. Checked Junk Mail nothing. Thank for nothing. Bill, please, don't worry, we receive a lot of requests and deal with all of them. Have you tried using another email to be on the safe side? Well, the email I received was 12:05 and another one at 1:51 Am thus missing the opportunity of getting your software. Even then, your email didn't include any Activation number, but a suggestion to submit another email address. WTF? Adrian, Well, the email I received was 12:05 and another one at 1:51 Am thus missing the opportunity of getting your software. Even then, your email didn't include any Activation number, but a suggestion to submit another email address. WTF? Bill, I guess it wasn't your lucky day. I received my key in seconds. Today, after a long while, I installed it because I randomly had to edit a video (I had some old installation of it on my HDD, but it was rendered useless after changing the OS). It's quite funny that I happened to stumble upon this giveaway on the very same day. I was really lucky. I often forget to check out GOTD (as most giveaways here are boring, in my opinion), and today I somehow decided to visit the site and found this cool giveaway only 4 hours before the end! 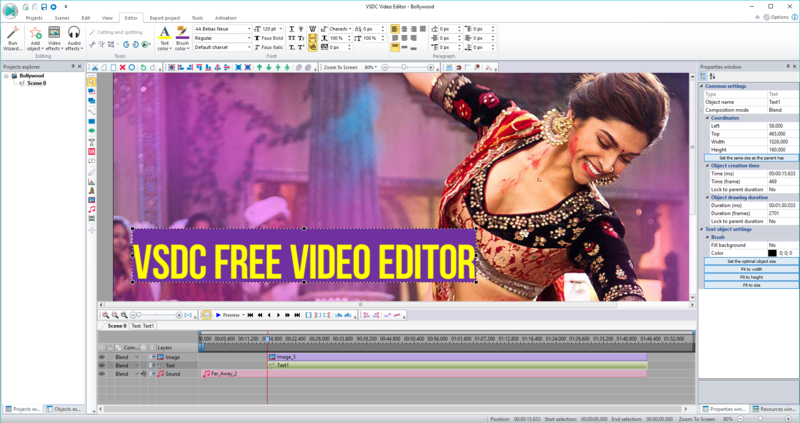 I always liked VSDC, and I was a bit sad when I found out it was getting paid features (except for it, there didn't seem to exist any good, 100% free video editor, something like GIMP or Blender, but for movies) Today, after a long while, I installed it because I randomly had to edit a video (I had some old installation of it on my HDD, but it was rendered useless after changing the OS). It's quite funny that I happened to stumble upon this giveaway on the very same day. I was really lucky. I often forget to check out GOTD (as most giveaways here are boring, in my opinion), and today I somehow decided to visit the site and found this cool giveaway only 4 hours before the end! Soldier, thank you for your feedback! Installed, Went to website as directed and filled out the form. Waited over 2 hours and still no activation code has been received in my email. What's the problem? VSDC guys or Giveaway guys, HELP! I've been at this for nearly 40 minutes and I CANNOT find the frigging Activation/Activate box to put my license key in. I've gone to the page the Read Me page gave me an url for and none of the boxes on that page, or any of the drop down, top bottom or middle have an Activation box to sign up in. I would really like to get this but no joy! Please help me, quick before I run out of time. but unless I'm blind there is no way to activate my key on that page. VSDC guys or Giveaway guys, HELP! I've been at this for nearly 40 minutes and I CANNOT find the frigging Activation/Activate box to put my license key in. I've gone to the page the Read Me page gave me an url for and none of the boxes on that page, or any of the drop down, top bottom or middle have an Activation box to sign up in. I would really like to get this but no joy! Please help me, quick before I run out of time. The URL my read me page says to go to is: http://www.videosoftdev.com/giveawayoftheday#cid_379/ but unless I'm blind there is no way to activate my key on that page. Help! Dan McLaughlin, hello. The activation takes place inside the program on the Activate tab. Dan McLaughlin, Did you try the Product Activation shortcut in the Start Menu? VSDC, Hi, thanks, but I know that. That part was clear. I could not FIND the Activate tab (the first one) so I could open it up and put my key in. I got my key in the email you sent just fine, went to the url referenced in the "read me" file just fine. No activate tab there to click on. I started at 5:30 PM and finally gave up nearly 7 hours later, never did find the Activate or Activation and cannot figure out why. Don't think there was anywhere left to look. I really wanted to join you guys too. Sounds like a fine piece of gear. Confusion reigns here regarding obtaining an activation key. Firstly, I decided not to use social sharing and after only several minutes received an email with a download link to the VSDC installer. However that turned out to be for the regular installer program video_editor.exe which DOES NOT CONTAIN a Readme file containing activation details. I sent an email to the VSDC team requesting activatin details. Then I weakened and used the social sharing (Facebook) option. This time, immediately as a result of posting to Facebook, I got a download link to a ZIP file and this time downloaded the usual GOTD zip file (called VSDCProVideoEditor577-db29ao.zip) which did contain the desired Readme file. A minute after that I also received an email from the VSDC Team providing an activation keym thank you Jay! Summary: it seems necessary to use the Facebook social sharing pathway to get the zip file (and not the exe file installer). Confusion reigns here regarding obtaining an activation key. Firstly, I decided not to use social sharing and after only several minutes received an email with a download link to the VSDC installer. However that turned out to be for the regular installer program video_editor.exe which DOES NOT CONTAIN a Readme file containing activation details. I sent an email to the VSDC team requesting activatin details. Then I weakened and used the social sharing (Facebook) option. This time, immediately as a result of posting to Facebook, I got a download link to a ZIP file and this time downloaded the usual GOTD zip file (called VSDCProVideoEditor577-db29ao.zip) which did contain the desired Readme file. A minute after that I also received an email from the VSDC Team providing an activation keym thank you Jay! Summary: it seems necessary to use the Facebook social sharing pathway to get the zip file (and not the exe file installer). Tony Austin, hello, according to the rules of the website you get a zip folder and Readme file with the instructions, probably you haven't noticed it. Received my activation code almost immediately. This looks to be an impressive set of tools for capturing and editing video. Thank-you for your offering. Justin Alias, thank you for the feedback! I don't know about program improvements but I would have liked more technical specs on on your website. Or if they are there, make them easier to find. For example what kind of input files can it operate on? We've also added WebM and special export profiles for social networks recently. Godel, hello. PLease, consult this - http://www.videosoftdev.com/video-editor-doc/supported-formats-and-codecs We've also added WebM and special export profiles for social networks recently. I think this occupies an awkward ground. Too complicated for the casual user who wants to stitch together a few wedding videos. But not quite up there with the heavy hitters. Its still a welcome addition to my growing suite of video editors (there is always a file a file that causes me trouble and have to try several programmes to get it working). A little non-intuitive as I had to spend 5 minutes working out to import several clips to join them. However it does what it claims and seems stable and gives a good quality output. I am having a different problem- when I click the activation window I get a message that says "Can't transmit data. try again later" Thanks for any help. mur s , Thanks, Jay for your quick response - I rebooted and disabled my firewall as you suggested and it worked. Looks like it has enough whistles and bells for my needs. - Cheers! Been waiting for HOURS. No activation code yet. And yes I always check the spam folder. I check the GOTD site EVERY day for YEARS - first time this has ever happened. Took a high quality 1920x1080 MTS video and changed it to 1920x1080 AVI using settings of DVD and High Quality. The sky and some background objects came out blotchy. The file size was also smaller than other editors and converters I tried using the same clip. Yes, I did do some editing to the clip. OK for free use if you have nothing else. Not going to keep. Downloaded, installed & activated OK on Windows 7, 32 bit. I normally just play around with a new program to see if it is user friendly enough to work without reading the instructions. The gaudy oversized icons to select different features of the program weren't encouraging. First thing I tried was the screen capture shortcut on the desktop. Found that the "Audio capture device" is grayed out and is set to not record audio. I could not find a way to tell it I have a sound card etc on my system. I then tried the video capture shortcut. I assume this is to capture a video playing on my desktop. Normally you next would have to set the portion of the screen where the video is located. No way to do that or to load a video directly into the program. Since I don't have a video camera that ends that feature. I next checked out the editor portion of the program and it does have a lot of features. But I found it hard to read the low contrast text on a similar colored background for my old eyes. I went back to the programs I've been using for several years (Snap & MS Movie maker). I did find out if you just uninstall the program there are many entries left in the registry (which Revo Uninstaller found and removed). Revo uses the normal software's uninstaller first and then does an intensive scan of the registry to get rid of the leftovers. Downloaded, installed & activated OK on Windows 7, 32 bit. I normally just play around with a new program to see if it is user friendly enough to work without reading the instructions. The gaudy oversized icons to select different features of the program weren't encouraging. First thing I tried was the screen capture shortcut on the desktop. Found that the "Audio capture device" is grayed out and is set to not record audio. I could not find a way to tell it I have a sound card etc on my system. I then tried the video capture shortcut. I assume this is to capture a video playing on my desktop. Normally you next would have to set the portion of the screen where the video is located. No way to do that or to load a video directly into the program. Since I don't have a video camera that ends that feature. I next checked out the editor portion of the program and it does have a lot of features. But I found it hard to read the low contrast text on a similar colored background for my old eyes. I went back to the programs I've been using for several years (Snap & MS Movie maker). I did find out if you just uninstall the program there are many entries left in the registry (which Revo Uninstaller found and removed). Revo uses the normal software's uninstaller first and then does an intensive scan of the registry to get rid of the leftovers. I get "Invalid license code" error message when I enter the code that I received from you. What should I do to activate it successfully? I have Win10, 64 bits. Thanks. Hi guys from VSDC, I get "Invalid license code" error message when I enter the code that I received from you. What should I do to activate it successfully? I have Win10, 64 bits. Thanks. The web-site says all Pro users get a link to the PDF manual in the licence e-mail, but I don't see one, just links to the Free version's tips and hints plus Videos? VSDC, Interesting decision - won't you get a lot of people just saying it's hard to use, which probably isn't the objective (it is a little counter-intuitive, you do need to study the web-site to use it at all)? Are you kidding me? The read me says to click on Activation on the program - Nope you need the license code. So I email support as suggested above. What does support do? Send me an email to email them again in an hour IF I don't get the license code email! WHAT?? And yes I did check my spam folder. Bob, have you visited the registration page? The address is mentioned in Readme file. Once you fill out the form, an activation key will be sent to you via email. Please, also check your Spam folder, as the key may have ended up there. Bob, have you visited the registration page? The address is mentioned in Readme file. Once you fill out the form, an activation key will be sent to you via email. Please, also check your Spam folder, as the key may have ended up there. Exactly. I went to the page, put in my first name and email address, did the "captcha" and clicked the button to submit. Checked my email seconds later and there was the key. Simple. Bob, it wouldn't surprise me if YOU ended up in your spam folder. Why not try reading the instructions? I had previously install the free version of VSDC and later the Give AwayOfTheDay version. I really like the program so I downloaded this give away and installed it. The installation process asked me to let it uninstall the previous version which I did. After the install finished I attempted to input the activation code but the "activate" was gray and I could not input the code. However the program seems to be working okay. I made a small change to a video and exported the changed file okay. It appears that my previous activation caused it to not need a new activation code. jan, We've tested it. It works well, please, try again. VSDC, it works but some of the captcha characters are hard to read. For example, I was not sure whether one character was a lower case "a" with a slightly long tail, or the number "9"
There are several characters that look kind of the same. I failed the first attempt at the captcha due to misreading one or more characters. VSDC, it works but some of the captcha characters are hard to read. For example, I was not sure whether one character was a lower case "a" with a slightly long tail, or the number "9" There are several characters that look kind of the same. I failed the first attempt at the captcha due to misreading one or more characters. Ootje, Thanks. I discovered it. VSDC, Thanks. I already know. Installed and worked as expected. At this time I can't check it extensively. I test it this weekend hoping it works as claimed. Installed and worked as expected. At this time I can't check it extensively. I will test it this weekend. Hope it works as claimed. Sorry for the poor English and typos. It should read: Installed and worked as expected. At this time I can't check it extensively. I will test it this weekend. Hope it works as claimed. Installed, Went to website as directed and filled out the form. Waited over 3 hours and still no activation code has been received in my email. What's the problem? VSDC, I did check my spam folder. In fact Spam email is flagged as spam when it arrives in my email and I manually delete the spam emails myself. I have sent you an email as you suggested just now. I am still waiting after 13 hours. I also sent an email to the mfgr. and still haven't gotten the activation code through my email. Why are so many people having trouble??? If I don't get an activation code, I'll just uninstall. It's just not worth all this trouble. Still awaitng email with code after 5 hours. "If you haven't received your key within a day, please submit a request to support@videosoftdev.com with 'GiveAwayOfTheDay's-VSDC Giveaway' as a subject." "You have to install and activate it before the Giveaway offer for the software is over." Still awaitng email with code after 5 hours. How does > "If you haven't received your key within a day, please submit a request to support@videosoftdev.com with 'GiveAwayOfTheDay's-VSDC Giveaway' as a subject." relate to > "You have to install and activate it before the Giveaway offer for the software is over." ? please make sure you've checked "Spam" folder. I don't get any emails, neither the one with the download link if I choose not to do the social media thing, nor the activation code if I give in and do the FaceBook share. Oops, I hadn't hit the activation link found in the readme, that seemed to work. I edit footage from my Phantom 3 with VSDC, and it's a great piece of software. Highly recommended to anyone who is interested in going one level up from basic video editing. Wasn't really thinking about purchasing PRO, but thank you, GOTD - I get it for free now. I edit footage from my Phantom 3 with VSDC, and it's a great piece of software. Highly recommended to anyone who is interested in going one level up from basic video editing. Wasn't really thinking about purchasing PRO, but thank you, GOTD - I get it for free now. Very nice tool for video editing. I’ve loaded my family video just to combine some episodes together. I was surprised with available features and visual effects. Video tutorials are lovely! Will this version stay PRO life time or not and it is just "a demo" for one year? Thank you. Hey Curious, This is a lifetime license. Het programma claimt filmpjes te maken voor 4k maar is zelf niet klaar voor een 4k-beeldscherm: alle tekst is onleesbaar en onwerkbaar klein. Gedeïnstalleerd. Have you tried your spam folder? My activation message came instantly. In any event, you still have the free version! Dave, Got my Activation / Code # in 60 seconds-check your spam folder,or perhaps try an alternate email address. Michael G. Vanier, I don't have a spam folder. VSDC, I sent a message almost 2 hours ago and still nothing... Evidently your definition of "promptly" is different than mine. VSDC, Please tell me what you mean by promptly. I have the same problem as Dave and I am still waiting for support to get back to me. Dave, Create a spam folder and ask for code again. olrowdy01, Like I already have said... I do not have a spam folder.. I own my own domain and control my email. I have deleted the file and will never use anything from them again if this is how they provide support for their products. olrowdy01, Like I already have said... I do not have a spam folder.. I own my own domain and control my email. They are just not very responsive to peoples problems... I have deleted the file and will never use anything from them again if this is how they provide support for their products. Dave, You mean you will NOT pay them ever for a program that you are NOT paying for in the first place? Mothman, ya, I will do that .. after 35 years of working with computers and dealing with numerous tech support people I will give up because one tech support can't or won't do what they said they would do. I will give up. Ya right. Robert, read what I said... did I say anything about paying for anything? For those of you wondering where they are based,looks like,according to press releases,(Google-search "Flash-Integro LLC mailing address",minus quotation marks) and look at the results regarding press releases,towards the bottom of the first page-they are based out of Russia-Moscow,to be specific,from what I can determine.Personally,I could care less WHERE they are based,as long as the software is up to par,or better,and the English translation for the user is intelligible.Probably the reason the Software dev is being reticent about their location,is because of all the recent brouhaha over a situation that does not exist,IMO.I don't think I need to go into,nor do I want to,unfurl a long explanation there,to keep my comments brief, and on-topic.I've actually got some of their software that was offered recently on a giveaway,but it was the free version,so I am definitely going to give the PRO version being given away today a spin.I also follow them on Facebook,and they are always giving instructional, how-to videos,and tips and hints.Also,I always notice when a Software Dev takes the time to address GOTD's visitors comments,and questions-to me,that is usually,almost always,an indicator that they actually care,as long as they are not being flippant,or dismissive,in their comments.Thanks,BTW, to Flash-Integro,and GOTD.Oгромное спасибо,(thanks a ton; lit: a giant thank you) [agromnaye spasiba]. Just putting in my 2 cents worth. For those of you wondering where they are based,looks like,according to press releases,(Google-search "Flash-Integro LLC mailing address",minus quotation marks) and look at the results regarding press releases,towards the bottom of the first page-they are based out of Russia-Moscow,to be specific,from what I can determine.Personally,I could care less WHERE they are based,as long as the software is up to par,or better,and the English translation for the user is intelligible.Probably the reason the Software dev is being reticent about their location,is because of all the recent brouhaha over a situation that does not exist,IMO.I don't think I need to go into,nor do I want to,unfurl a long explanation there,to keep my comments brief, and on-topic.I've actually got some of their software that was offered recently on a giveaway,but it was the free version,so I am definitely going to give the PRO version being given away today a spin.I also follow them on Facebook,and they are always giving instructional, how-to videos,and tips and hints.Also,I always notice when a Software Dev takes the time to address GOTD's visitors comments,and questions-to me,that is usually,almost always,an indicator that they actually care,as long as they are not being flippant,or dismissive,in their comments.Thanks,BTW, to Flash-Integro,and GOTD.Oгромное спасибо,(thanks a ton; lit: a giant thank you) [agromnaye spasiba]. Just putting in my 2 cents worth. Michael G. Vanier, thank you for your feedback, we really do care! As for your research, we're really an international team and yes we do have a representative office in Russia, as well as in the US. I don't know about you, but after installing this software, I've given up the idea of voting for Bernie and want to vote for Trump now. Before I download this, how does it compare to Corel Video Studio X10? I see that the PRO version is an annual subscription. I assume that means that next year, it will cost $19.99 to maintain the ability to use the PRO version and that non-subscription will cause this download to revert to the free version? Randy Martin, In their FAQ: Are there any restrictions for VSDC Pro Video Editor subscription? The subscription is valid for one year and can be used on two computers. A later comment posted by VSDC stated: "This is a lifetime license." Randy & anon: A later comment posted by VSDC stated: "This is a lifetime license." Suze, It would have been nice to get the GAOTD email telling me there was a reply in time to get the program. I received the email at the exact time the giveaway closed, and that is in the middle of the night for my time zone. Oh well. Maybe another shareware giveaway site will have it free so I can at least try it. anon, it's too bad that you didn't get the GotD email in time to try this program; I don't blame you for being disappointed. Hope you can find another site offering it. I have used VSCD video editor in FREE edition to edit/master my neices wedding videos and found it very flexible, I got the Pro license from a previous giveaway and recently installed the latest version of 5.7.7.702 over the top and was able to re-activate it with previous giveaways license which was a bonus. I found this latest pro version accepts UHD and 4K project settings right from the new project settings user interface without the later GUI input field fiddling that was required in the older versions. I found the latest version to be far more stable when authoring UHD slideshow videos with far less crashes generated if the slidshow became too complex. I found that UHD HVEC/H265 and VP9 codec output apeared to stall and fractional percent progress, while UHD H264 output worked fine. I cannot verify whether this is a vista problem or a VSCD problem. 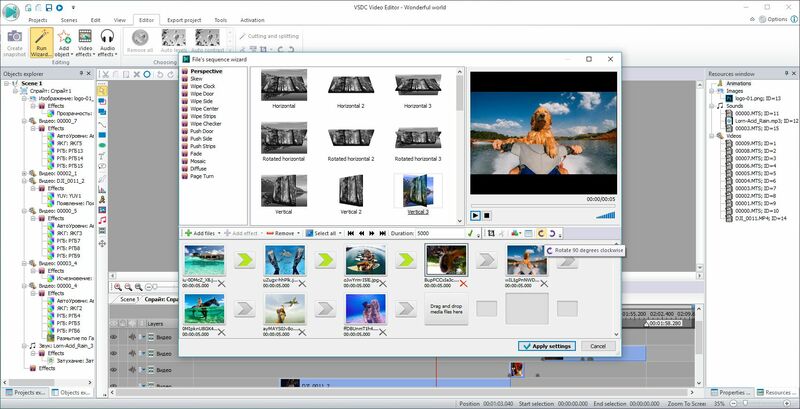 But for its video authoring I certainly do recomend it if you need to do more than just basic crop and merge video files, ie needing to rotate over a user definable timeline as well as many other advanced editing features. There is a definate learning curve, but that doesn't exclude untrained people from using it, I did, we just have to engage brain a little! TK, thank you for your detailed feedback! It looks like not a great deal, honestly! Here a review of this product from PCMAG: http://www.pcmag.com/review/351751/vsdc-video-editor-pro It looks like not a great deal, honestly! Mario, hello, thank you for the feedback! We're constantly working at the app's improvement including the cons mentioned in that review - for example, we've already prepared the user help manual. To get better understanding of the program, we also suggest looking at other well-reputed source, for example - http://www.techradar.com/reviews/vsdc-free-video-editor and of course welcome to test a free version that doesn't have any watermarks or export restrictions or have a go with Pro thanks to this giveway. Mario, hello, thank you for the feedback! We're constantly working at the app's improvement including the cons mentioned in that review - for example, we've already prepared the user help manual. To get better understanding of the program, we also suggest looking at other well-reputed source, for example - http://www.techradar.com/reviews/vsdc-free-video-editor and of course welcome to test a free version that doesn't have any watermarks or export restrictions or have a go with Pro thanks to this giveway. What is the real story, tell us, free or not? If I can download it for free, why is it on this site? I am confused. It says FREE at lest twice but also says normally 19.99 What is the real story, tell us, free or not? If I can download it for free, why is it on this site? Kiwi1960, There are 2 versions, one is free, but there are less editing options with the free version. Kiwi1960, according to their site, there is a limited free version. I suppose that the version given here today is the pro version at $19.99. Kiwi1960, All programs offered as the main offerings on this site are free (new one daily). Normally they don't include free upgrades. Some of them have time constraints, such as 3 mo, 6mo, or a year. Some if not most can be used for lifetime for free, but with no free upgrades. arnav, VSDC Video Editor is a project supported by an international team, but we have no offices in India. arnav, No idea where they are, they have intentionally not provided company address details on their website and searching returns nothing. It puts me off as I have no idea of the laws governing a company and any potential moral compass hints based on (some) countries/locations. I'm not into installing things from companies that are just 'on the Internet'. What happens if things go wrong? arnav, No idea where they are, they have intentionally not provided company address details on their website and searching returns nothing. It puts me off as I have no idea of the laws governing a company and any potential moral compass hints based on (some) countries/locations. I'm not into installing things from companies that are just 'on the Internet'. What happens if things go wrong? Yanco, hello. Thank you for the feedback. VSDC has no adware or malware, you if you have doubts, it's been checked and reviewed by many well-reputed sources. For example here, we have a 100% clean badge. Yanco, I'm paranoid but not to such extend. If someone don't know how to clean his/her machine seeking for technical assistance is the only option he/she has. As long as they have a "Support" contact, what difference does it make since it's a freebie to at least TRY. There's a LOT OF JUNK out there that people pay on the spot that should be "sent to Mars"...one way. bob, As long as they have a "Support" contact, what difference does it make since it's a freebie to at least TRY. There's a LOT OF JUNK out there that people pay on the spot that should be "sent to Mars"...one way. Many thanks! This software is just so intuitive and easy to use – and I can get creative and figure out different ways to do things with it. I’ve been mentioning it in the end credits of my animated shorts! Again, thanks for the giveaway and the great software! Many thanks! This software is just so intuitive and easy to use – and I can get creative and figure out different ways to do things with it. I’ve been mentioning it in the end credits of my animated shorts! Again, thanks for the giveaway and the great software!